I am not a sneaker head. I have the same pair of sneakers that I bought years ago. These shoes have outlasted relationships with girlfriends, grad school, and that time when I thought I would take up jogging. 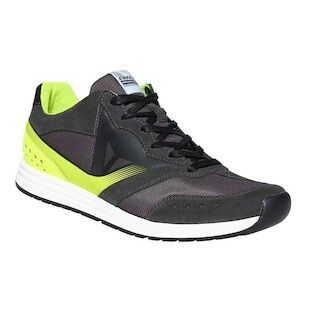 The Dainese Paddock Shoes come in five colorways to satisfy any sneaker head. Grey/Blue, Grey/Green, Anthracit/Hi-Viz, Anthracite/Rosso-Fluo, and Blue/Rosso-Fluo mean you can wear fresh new sneaks every day of the (work) week. The stiff heavy sole and the shifter pad on the toe box allow these kicks to pull motorcycle duty in a pinch, but don't count on too much protection at highway speeds. If you are looking for something equally as cool, but a little more geared for the moto-world, the Dainese Motoshoe Air would be the way to go. 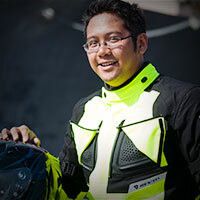 These are designed to be far more comfortable and ergonomic than regular motorcycle boots, while at the same time providing adequate protection that this type of locomotion requires. The with reinforcements throughout to allow it to meet CE certifications for safety, these shoes are a fantastic choice for commuting around town. Dainese's easy going shoes give you something to wear on those days when you're not on your bike... or some of the ones that you are! 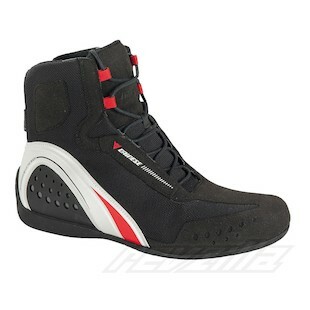 So let everyone know your taste in fine Italian motorcycle gear, even when you decide to leave the race boots at home.